Periodontitis – What is it? 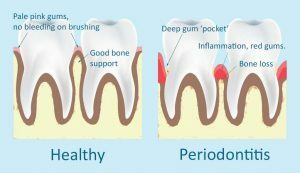 Periodontitis is advanced gum disease. Certain plaque bacteria trigger inflammation, leading to destruction of the bone supporting your teeth. Over time bone loss can cause tooth mobility, then tooth loss. Not everyone is susceptible to periodontitis; it depends on your body’s response to inflammation. Smoking & diabetes are known risk factors. Once you have periodontitis you will always have it. The disease is classified as active, stable or in remission. 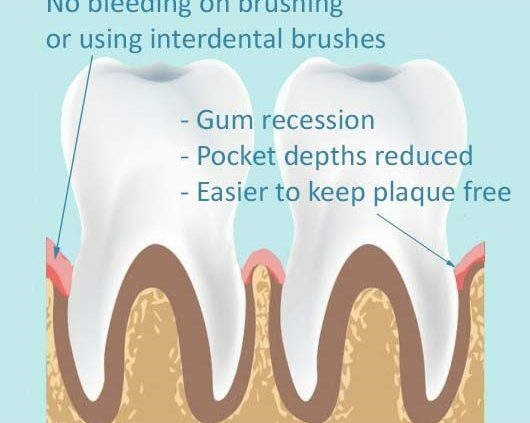 Periodontal disease has bursts of activity. You may have had treatment for periodontitis in the past & require re-treatment. If you have been diagnosed with active periodontitis we can help you. The treatment for periodontitis does not grow the bone back that has already been lost. Periodontal treatment aims to lower your risk of tooth loss in the future. We hope to decrease the depth of the pockets so, going forwards, you can maintain the gum pocket at home. It is much easier for you to keep a 3mm pocket plaque free, than a 6mm! If you can keep the pocket plaque free, you lower the risk of ongoing inflammation & reduce your risk of further bone loss. Your home care is the most important part of the treatment. We are passionate about working with you to achieve better gum health. Establishing a thorough plaque removal home care regime, above & below the gumline, to a standard that will increase the success of the treatment. This must be kept up following the treatment for long-term benefit. Pocket depths measurements are taken & accessible calculus (‘tartar’) is removed. This phase of your treatment plan is required to remove plaque retentive calculus & biofilm from the base of the gum pockets. Importantly; it also induces acute inflammation to encourage wound healing. To keep you comfortable we administer local anesthetic (deeper sites tend to be ulcerated at the base of the pocket due to the chronic inflammation). 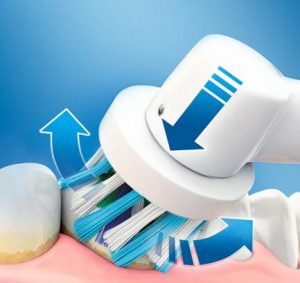 Using a piezo ultrasonic scaler and site specific handscalers your Dental Therapist will carefully debride the tooth surface, removing the harmful bacteria from the base of the gum pocket. This process takes time. It is normal for your gums to be tender for a week after the procedure. It is very important to keep up your home care during this healing phase. Christina or Rachael will see you in 6-8weeks to check you are healing as to be expected. You will then be seen 3 months later to re-measure the pocket depths so we can monitor the progression of your gum disease. 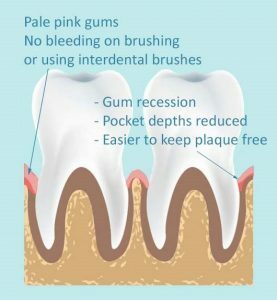 Remember, once you have periodontitis you will always have it, you will continue to require frequent supportive care appointments. As the gums are healing is they ‘tighten’ to the true bone level supporting your teeth. Gum recession can make your teeth appear longer in length & sensitivity can occur. We can help you manage the sensitivity symptoms. These are positive signs that you are looking after your mouth well at home, the treatment is working; you are on the right journey to keeping your teeth for longer! https://absolute-dental.co.uk/wp-content/uploads/2019/02/B4.jpg 573 530 Absolute Admin https://absolute-dental.co.uk/wp-content/uploads/2016/11/absolute-logo-NEW1.png Absolute Admin2019-02-05 11:29:002019-02-05 11:29:00Periodontitis - What is it?